Grab your best retro clothes, a wad of legal tender, and some extra plutonium as we get ready to go “Back to the Territories” once again for another wild trip down memory lane! This, Kayfabe Commentaries‘ exceptional historical shoot interview series, examines the life and times of some of wrestling’s greatest territories. In each edition Kayfabe C.’s resident professor, and wrestling’s Doc Brown, Jim Cornette is joined by a legend of the featured territory to break down the angles, stars, politics, and palace intrigue that marked the ups and downs of the territory. So far we’ve traveled the likes of Georgia, Florida, Indianapolis, the Mid-South, the Mid-Atlantic, the AWA and All Japan. 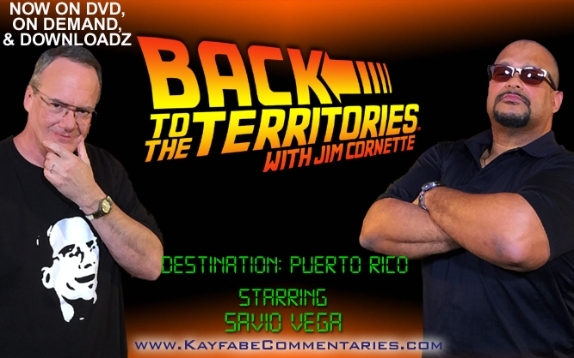 For this, the 10th edition of the series, Jim Cornette is joined by Puerto Rican wrestling legend Savio Vega to dissect the history and legends of one of wrestling’s most misunderstood and mythologized territories in “Back to the Territories: Puerto Rico”. The opening introduction is, as we’ve come to expect, excellent. 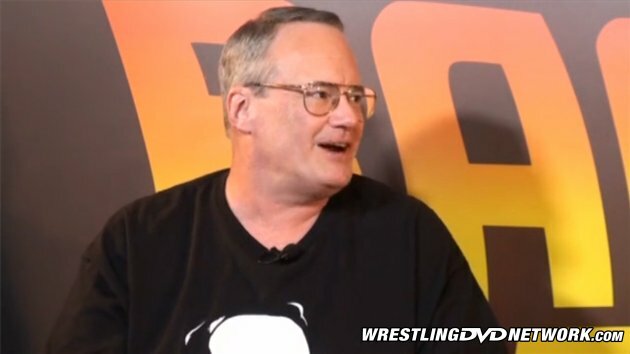 In less than 2 minutes Jim Cornette lays out the geographical anomaly that was the Puerto Rico, how topsy-turvy the wrestling landscape has been over the last 50-plus years, and how it remains the last true territory left in pro wrestling. The interview begins with a conversation about the ability of Puerto Rico, despite the country’s small population, to fill baseball stadiums for wrestling shows in their heyday, something mainland promotions still have trouble doing. 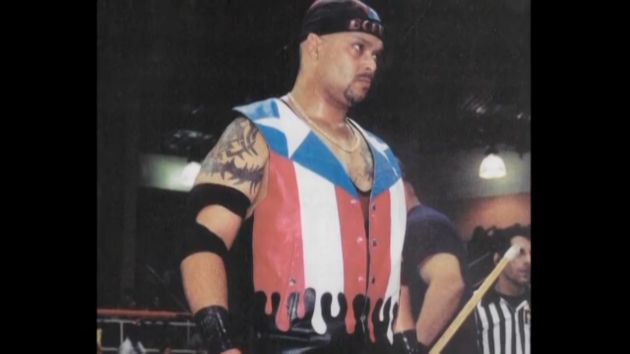 Savio explains the pride Puerto Ricans have for their own and how they rallied behind the local stars in their battles against foreign talent like Abdullah the Butcher, who Savio thinks could still draw a house with Carlos Colon to this day. The first 45-minutes of the interview deal with the early years of professional wrestling in Puerto Rico, from the arrival of television on the island in 1954 to Carlos Colon and Victor Jovica forming Capital Sports Promotions’ World Wrestling Council (WWC) in January 1974 and the timely heel turn of Barrabas that helped draw 12,000 fans to Roberto Clemente Stadium six months later in June of ’74. Savio tells how the weekly TV (the only “TV show” at the time), airing Sundays at noon, helped draw fan the arenas for the shows to meet the “TV stars” they had just watched on TV. The two also discuss some of the hot angles, how TV was booked and taped, how fans stayed with WWC TV no matter what channel it was on, and how Savio himself got into the wrestling business. It’s fascinating to hear how a territory was built from the ground up and Savio (a true student of South American wrestling) does an excellent job of bringing those early years to life and providing the all-important context that helps add color and flavor to the story. The glory days of WWC are covered in rich detail here. Vega and Cornette go through the list of top American talent that worked WWC in the ’70s and early ’80s including Ernie Ladd, Bruiser Brody, Abdullah the Butcher, Gorilla Monsoon, and Stan Hansen, among many others, and why the American’s larger size helped establish the WWC stars as legitimate world-beaters as it had done in Japan many years earlier. The two describe just how big Carlos Colon was in Puerto Rico and the angle that drew 34,000 fans to Hiram Bithorn Stadium in September 1984 to watch Carlos and Abby take on Brody and Hansen in the main event. Things came to a near grinding halt on Saturday, July 16, 1988, though, when Jose Huertas Gonzalez (Invader 1) stabbed Bruiser Brody to death in the shower of the Juan Ramon Loubriel Stadium prior to that night’s event. 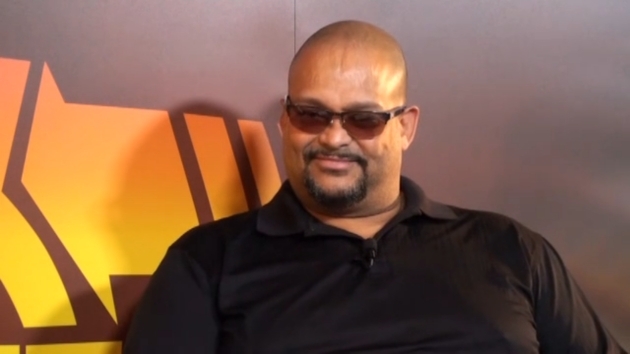 The highlight of the interview, by far, is the truly staggering amount of new information Savio Vega provides about Brody’s murder. From Jose Gonzalez, Victor Quinones, and Brody riding together all week to Carlos potentially bribing a female juror, the entire sordid tale is broken down moment by moment, including Gonzalez being brought back to TV in the weeks before the murder trial to be turned babyface and attempt to paint Brody as the true villain and aggressor. Savio describes the trial and its aftermath and how the fans of Puerto Rico never forgot, or forgave. The remainder of the interview deals with the fallout from Bruiser Brody’s murder and the steady decline of WWC and wrestling as a whole in Puerto Rico. Savio and Cornette explain how the death of Brody led to a drastic decline in American talent coming to Puerto Rico and why Colon’s resistance to put over young talent and “pass the torch” drove Victor Quinones and others away from WWC in the ’90s. Savio details how the International Wrestling Association (IWA) got off the ground, how it got the better of WWC for many years, and what the future of the Puerto Rico territory holds. Along the way we hear about the crazy Puerto Rican fans, hear a few wild stories, learn how the island territory deals with “smart” fans, the impact of Martin Karadagian’s Titanes en el Ring, and how Gorilla Monsoon became involved in the territory. Clocking in at a svelte 1 hour and 45 minutes, the “Back to the Territories: Puerto Rico” DVD is yet another masterpiece installment of what might just be the best and most important shoot interview series on the market today. Not only does this edition shine a light on one of wrestling’s most underappreciated and misunderstood territories but it almost effortlessly brings the territory to life in ways few have done before or are likely to do in the future. If you are a history buff or are simply curious about the Puerto Rican territory this one is a must-own! Haven’t jumped on the “Back to the Territories” bandwagon yet? This is a perfect place to start. Grab a copy of the “Back to the Territories: Puerto Rico” DVD from KayfabeCommentaries.com. It’s also available to stream instantly On Demand or to download and watch anytime!